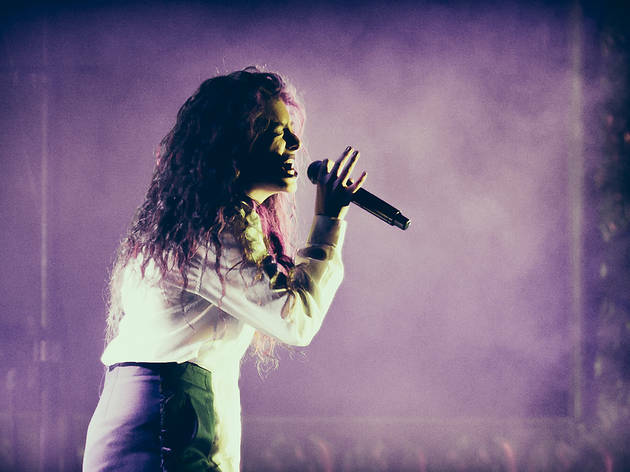 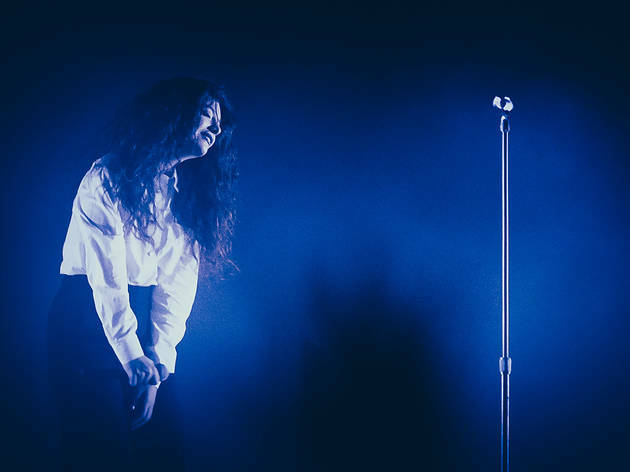 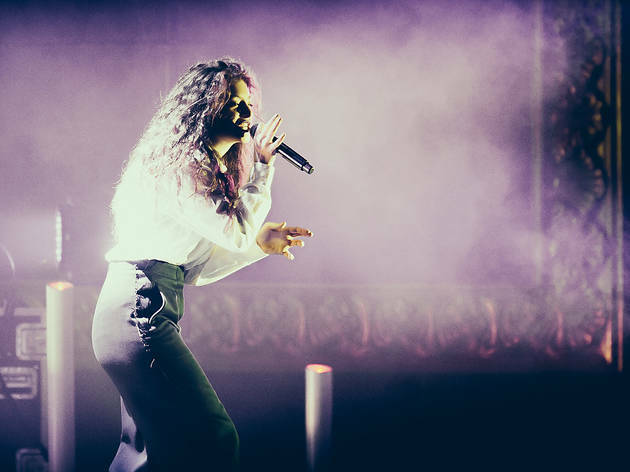 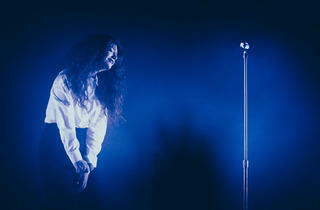 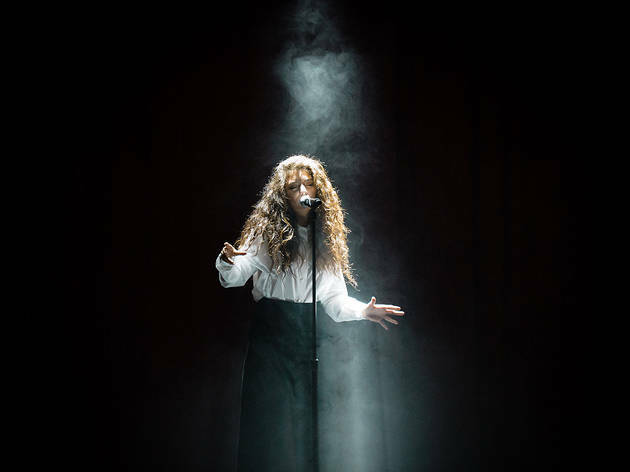 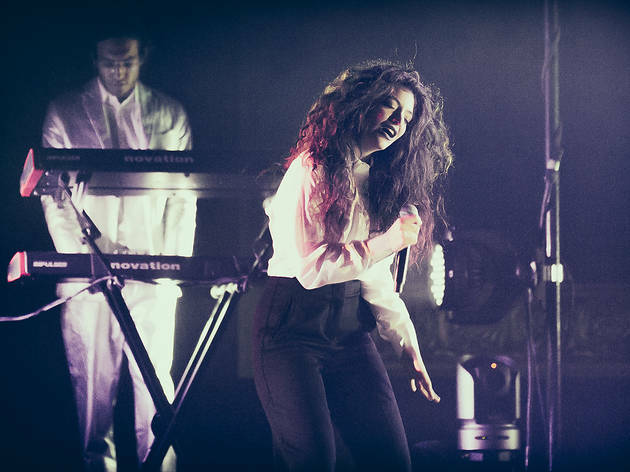 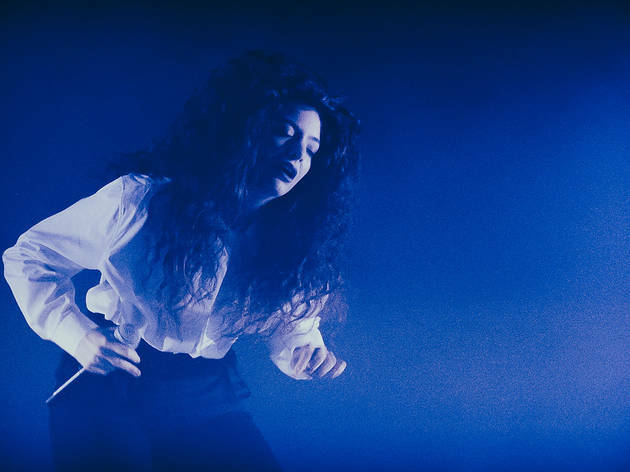 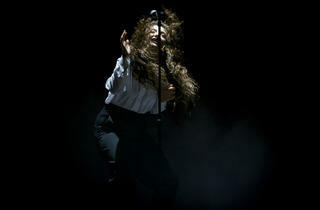 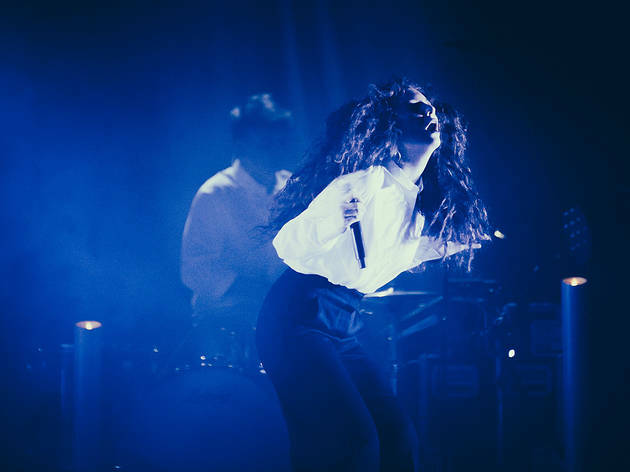 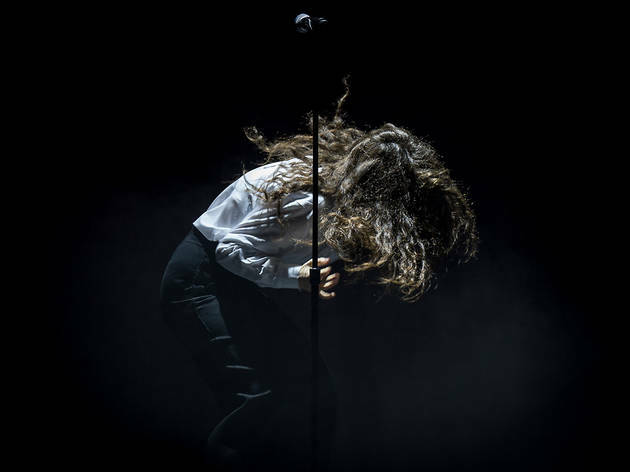 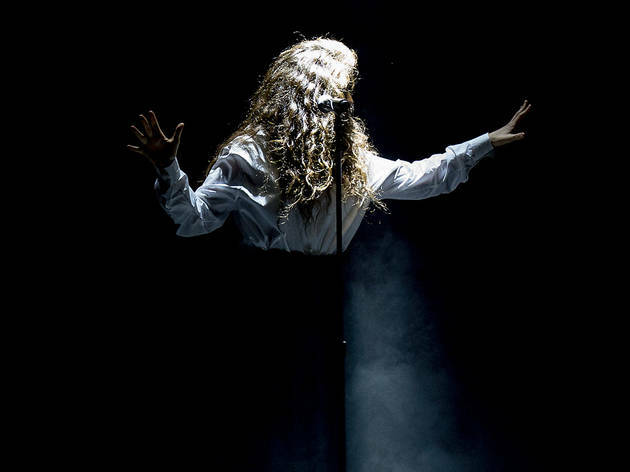 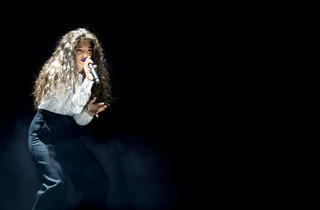 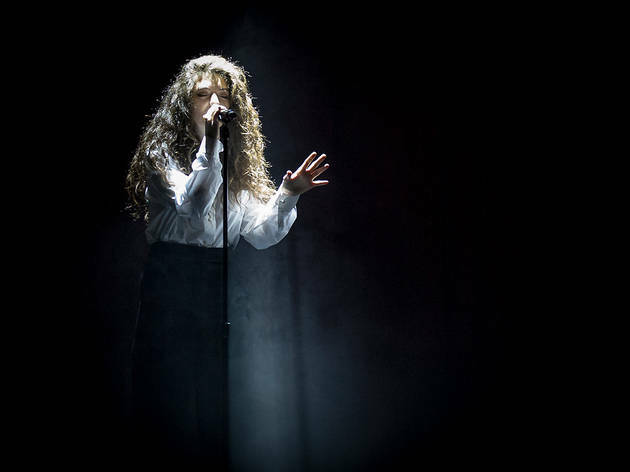 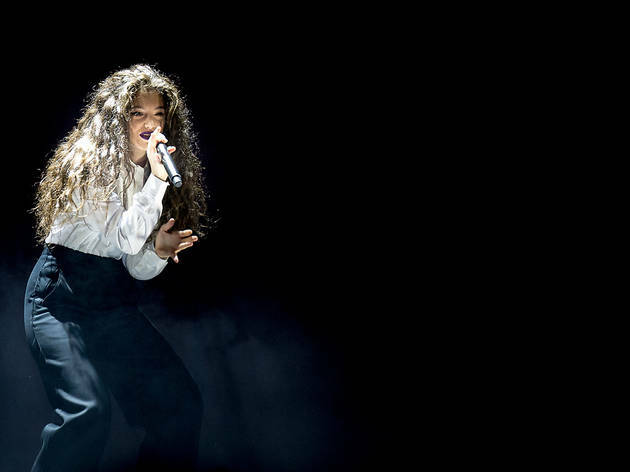 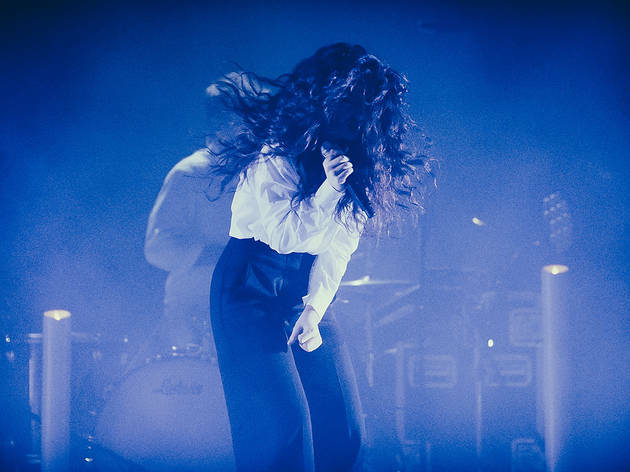 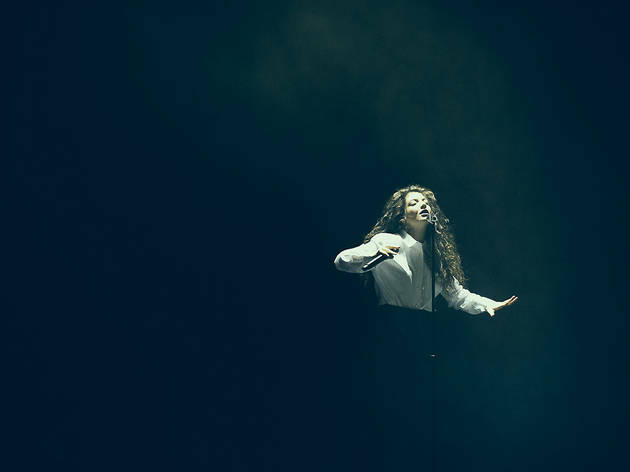 Lorde appeared on stage at the Aragon last night in a simple white blouse, black pants, a wild mane of curly hair and the dark lipstick she’s been donning (and influencing others to wear). 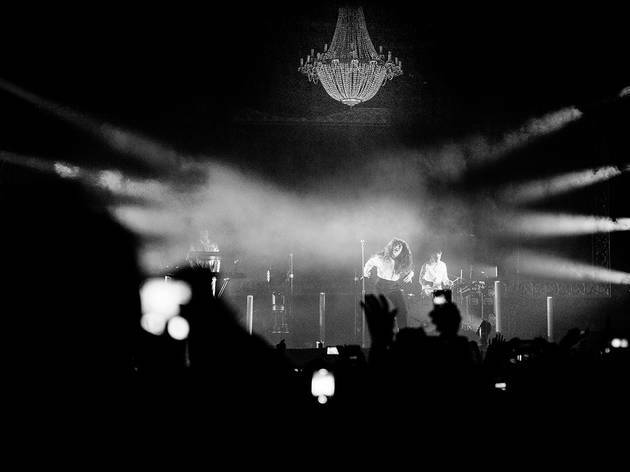 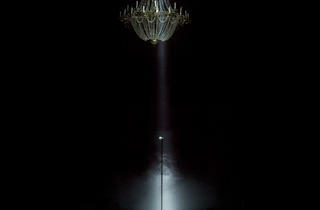 She opened with her song “Glory and Gore” under a chandelier, before the curtain behind her was pulled, revealing a screen displaying various naturescapes and her band—a keyboardist and drummer. 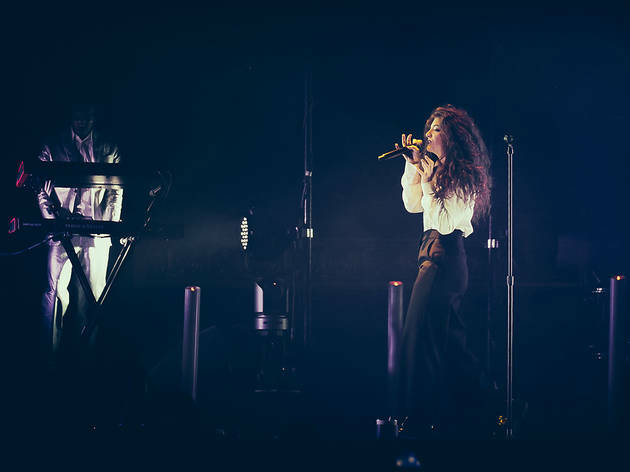 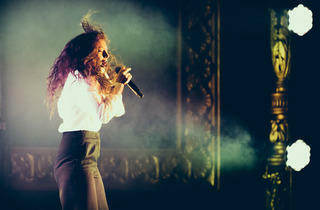 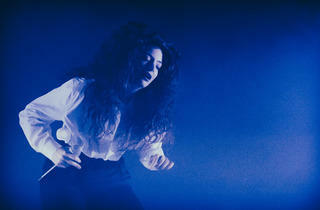 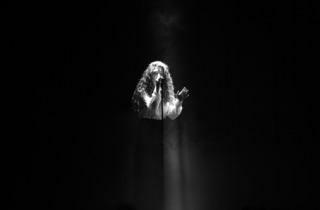 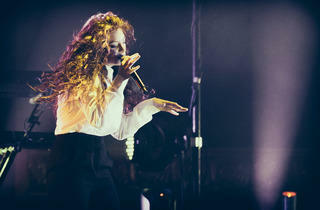 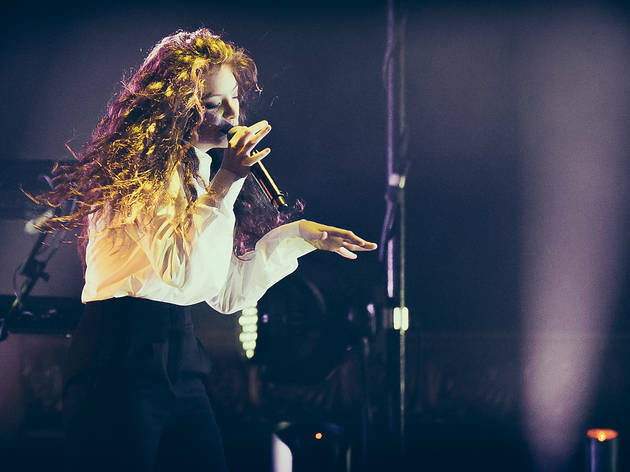 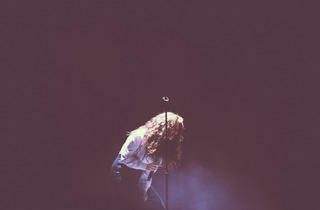 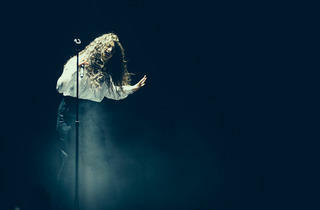 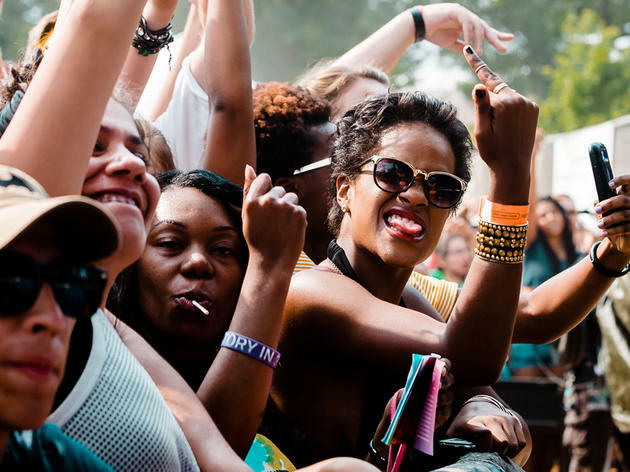 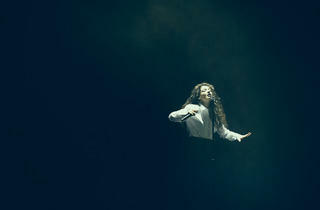 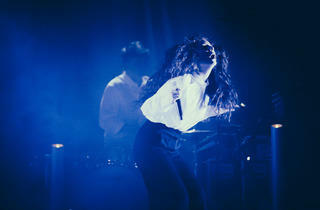 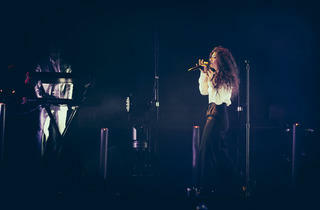 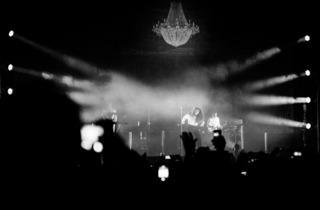 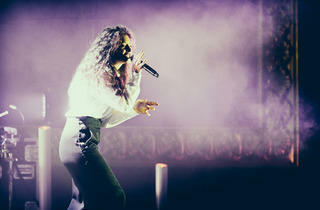 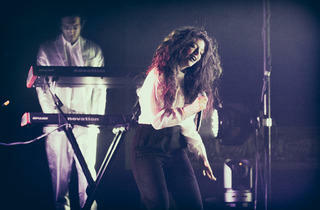 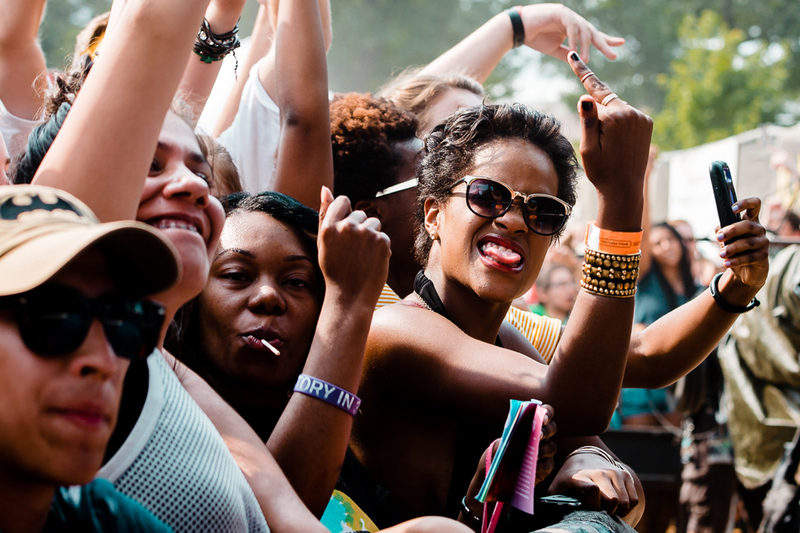 Performing just about her entire debut album, Pure Heroine, she brought her own energy to the audience. 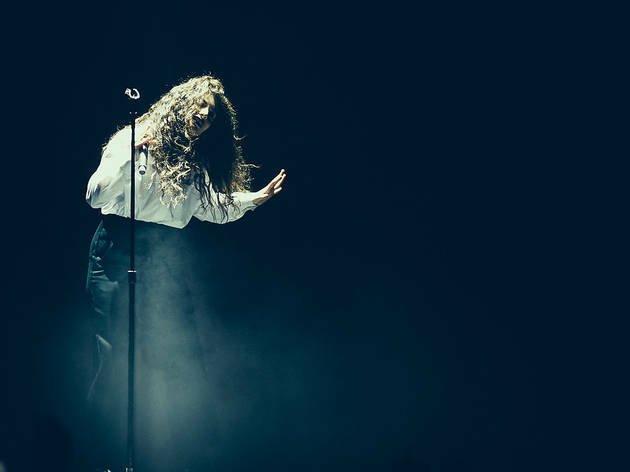 Not concerned with the frills of a choreographed dance routine or intricate costumes, Lorde stuck to what she knew, and she did it well. 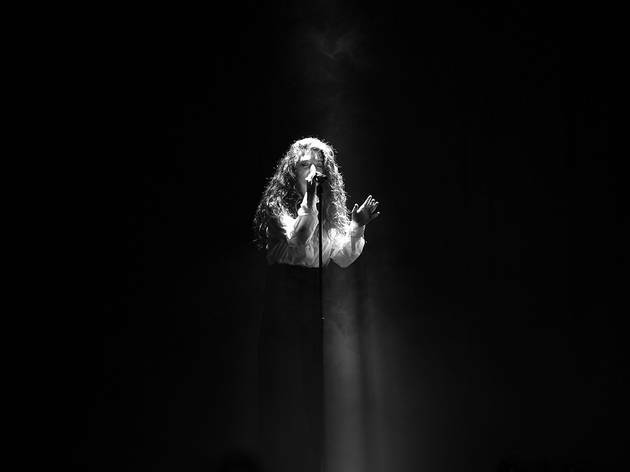 For someone who hasn’t grown up in the spotlight, she has an immense stage presence, especially for someone experiencing her first major tour. 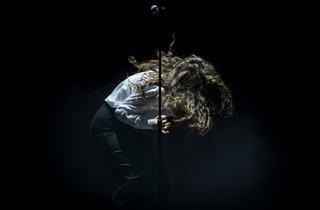 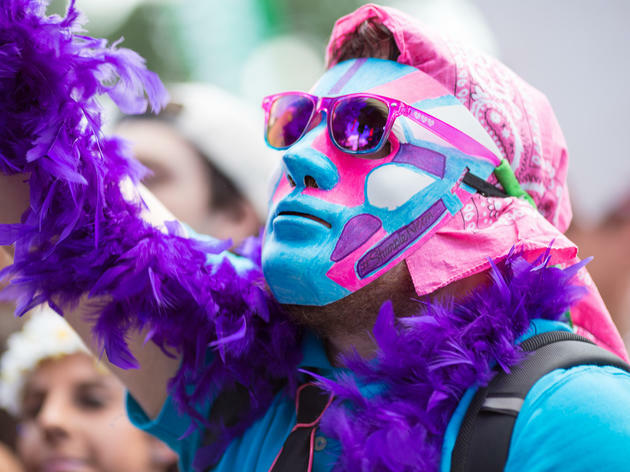 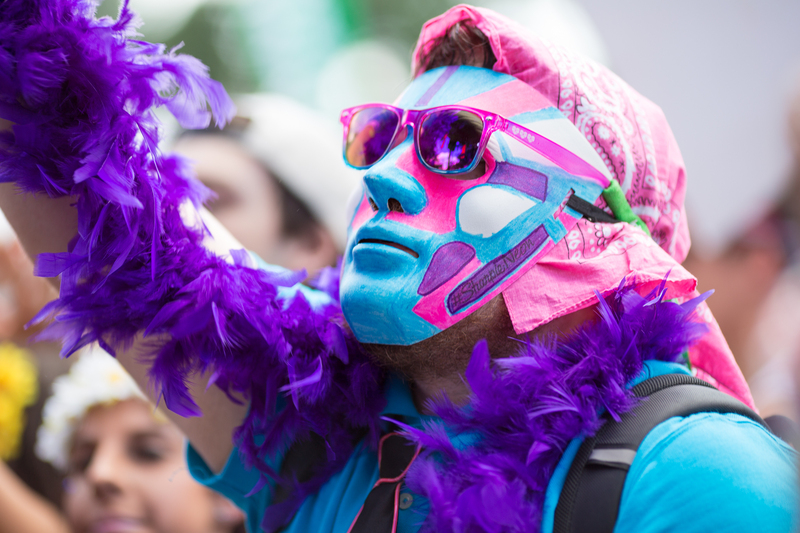 Her spastic dance motions exude the fearless attitude of a teenager and a captivating aura. 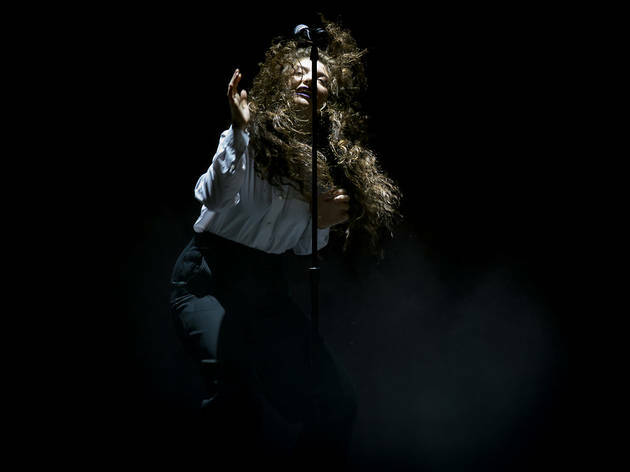 Lorde has built a name for herself with catchy choruses based around the experience of being an adolescent, something that a wide range of people can relate to, young or old. 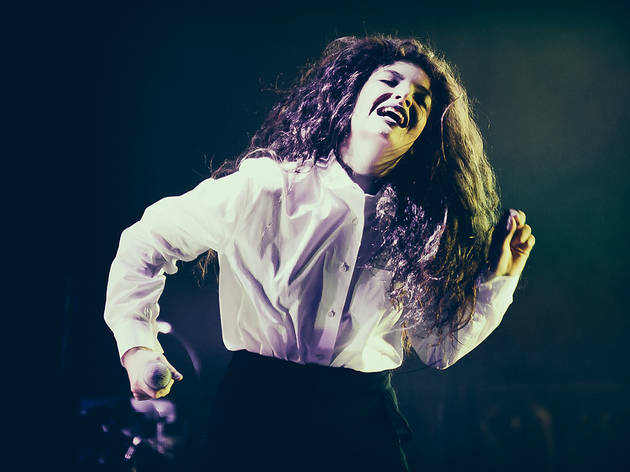 The Kiwi reminds us all what it’s like to be a (mostly) carefree teenager. 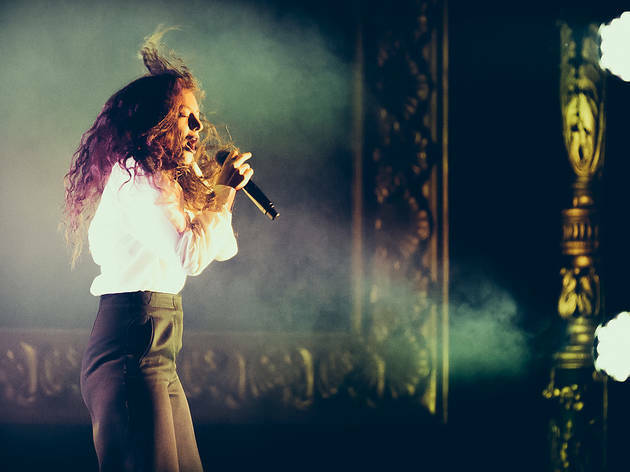 The sold out crowd at the Aragon last night, ranging from teens to couples in their mid-thirties, all singing along, proved just that.